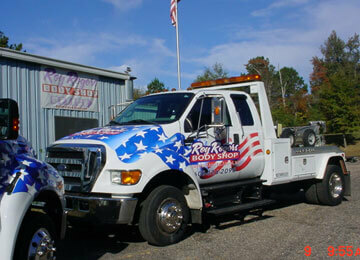 Roy Rogers Body Shop does more than just towing and collision repair. You purchased a strong and dependable truck because you need it for a variety of recreational purposes and labor functions. Get the most out of your truck with the right equipment. Roy Rogers Body Shop in Laurel, MS extends its excellent service to this community’s towing, sports, camper, trailer needs, and more. Our shop has the best quality products and brands for your truck’s utility enhancement. We offer a wide range of truck accessories for a multi-functional vehicle. B&W is the leading manufacturer for trailer hitches and accessories. For your truck’s complete protection and efficiency you will find our inventory of Xtreme Bedliners effective. While out on the road, traveling across smooth and rough terrains, your truck endures a lot. Your selection of truck accessories can prevent a lot of damages, both cosmetic and mechanical. Floormats are probably the most underappreciated road companion. Your truck may have been built Ford-Tough or a RAM-Rebel, but the floorboards are often left unprotected. It’s not long before resting foot traffic has torn a hole in the flooring material. Come to us for durable floor mats, bed covers, hammerhead bumpers, and more! Stop in and speak to Thomas Rogers and learn what he can do for your truck today!